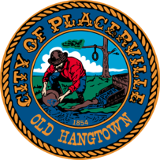 In 1855 the postmaster of Placerville had a problem. And it was growing. The Contract carrier who hauled the mail from Placerville over the Sierra had disappeared. Letters were piling up in the office like the snowdrifts outside, and they were going nowhere. First the carrier's partner was killed. Then his mules had frozen to death in a blizzard. But it may have been the snowy death of his horse that caused him to break his contract and vanish. Much of California's mail, letters from gold miners, cow punchers, ranchers, and anybody else who was separated from loved ones, was piling up in the Placerville postmaster's office, But between Placerville and the mail's next stop rose the Sierra Nevada mountain range, 10,000 feet of snow-crested granite that had just defeated the only man willing to carry mail over it. The only man but one. Some days later, as the postmaster pondered his dilemma, a 28-year-old Norwegian named John Thompson walked into his office. Thompson explained that his gold mining efforts had not panned out. He said he wanted to try carrying the mail over the Sierra, in winter, on his back. I'm sorry, said the postmaster. The contract carrier is the only one who can sign the contract over to you. And he just vanished. I don't have the authority to hire you. Thompson showed his determination by returning to the post office every morning for five days. OK, said the postmaster. You can give it a shot. But remember, I don't have the authority to pay you or hire you. That was good enough for Thompson. He was soon carrying sacks of letters weighing 60 to 90 pounds over the snowy peaks. Leaving Placerville (elevation 1,800 feet) every two weeks, he hiked over 8,000 vertical feet up to the Sierra summit, then down to Genoa, Nevada, near Carson City. The first half of the journey, Placerville to the peak, took two days. That was the snowshoe part. But from there it was all downhill, and Thompson could generally ski to Genoa in only one day. There the mail was picked up for points east of the Sierra. People began calling him Snowshoe Thompson. Once he carried a printing press over the mountains, section by section. Thompson carried no mosquito repellent or other personal items No sleeping bag or tent. Just beef jerky and biscuits to fuel his journey through rain, sleet or snow. Once he skied through a snarling pack of wolves having a meal on the trail. He knew that if he stopped or showed fear he would be extra calories for the hungry pack. On another occasion he was forced by freezing weather to seek shelter in an old cabin. Inside, he found an unconscious man and signs that all the furniture had been burned for heat. The man's feet had been frozen, and gangrene had set in. Realizing how dire the situation was, Thompson sped up the mountain and then down to Genoa, where he organized a rescue team to return to the victim with a sled. By the time they got him to a doctor there was not much hope. I've got to amputate to save his life, the doctor said. But I have no chloroform. Determined to do everything possible to save this man's life, Thompson crossed the Sierra again and reached Placerville, but there was no chloroform there either. Wasting no time Thompson traveled on to Sacramento, where he finally procured a bottle of the precious chemical. He then crossed the mountains again, a lone figure bent on rescue. Because of Thompson's heroic efforts the operation was a success and the man lived. From 1855 to 1868 Snowshoe Thompson was the only carrier of any kind regularly traversing the Sierra Nevada. Technology waits for no man, however. It was only a matter of time until the railroad company managed to get a line over the mountains. Though Thompson was strong and valiant he could not outrun the iron horse. In 1868 the railroad succeeded spanning the Sierras and Thompson's services were no longer needed. The only problem was that he had never been paid. That's right. For 13 years he had carried the mail and never saw a paycheck. The Placerville postmaster had never been given authority to issue one. In an attempt to readdress this injustice Thompson traveled to Washington D.C. on the very train that had cost him his job. He carried with him a petition signed by 1,000 postal customers describing the services he had performed and asking Congress to recognize his right to compensation. Congress, however, was in the throes of the cash-strapped Reconstruction Period, and Thompson's request was denied. He was told that without a written contract he had no claim. Back home in Genoa grateful postal customers rallied around Thompson again. They raised enough money to buy him a small ranch near his home town. He died there four years later. A statue of Snowshoe Thompson stands today in Placerville on the corner of Sacramento and Main Streets.